Thursday will definitely be remembered as Arthur's Day but there was another pretty special event taking place across Europe on the 24th. 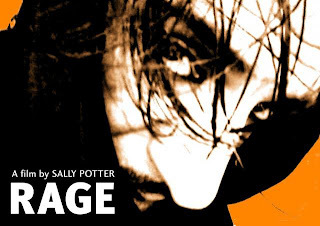 Last Thursday saw the world's first multi-venue interactive premier take place for Sally Potter’s new movie ‘Rage’. The film was broadcast from London's BFI Southbank, live via satellite, to a host of cinemas across Europe, including Dundrum here in Ireland. The film screening was then followed by a live questions and answers session with the film’s writer and director, Sally Potter, and the film's cast. Simon Abkarian, who plays Merlin, and Riz Ahmed, who plays Vijay, were both present with Sally Potter, while other cast members including Eddie Izzard, Lily Cole and Jude Law, all of whom were in New York, participated live via Skype. Although the film was first shown at the Berlin International Film Festival earlier this year, and was nominated for the coveted Golden Berlin Bear award, it also saw another interesting digital first as an episode of ‘Rage’ was then given a general release exclusively on mobile phones. As well as being premièred in the various cinema venues, people were also invited to watch the movie on their computers or mobile phones on the 24th. These audience members were then able to ask Sally Potter and the cast members questions via text message, twitter or live on Skype. Sally Potter explained "[that she] instigated this method of having an interactive premiere because I wanted to make going to the cinema a more exciting place, I was inspired by my experience of 'the intimacy of blogging'". The movie follows the story of a schoolboy who uses his mobile phone to shoot interviews with people working at a New York fashion house. He then secretly posts the videos to the internet. However when an accident on the catwalk leads to a murder investigation the videos and the boy are put under the spot light. Interestingly, none of the cast actually met while the film was being shot due to the one-on-one nature of the interviews. The film was produced by Andrew Fierberg and Christopher Sheppard, with Steven Fierberg as director of photography. The film was edited by Daniel Goddard.